Totally agree. Bloggers practically sleep with their cameras. And yes, my friends and family ask me about my makeup and outfits through my blog. great post! you look fantastic! Gorgeous outfit, especially the dress! Very nice look, I love your shoes! W i twittamici! E che carine le fossette! *-* Le adoro! I love your outfit, especially the shoes! You look gorgeous! Thanks for your comment on my blog. I'm following you now. Hope you'll follow me too! very true lessons. quilted jacket majesty! AMAZING 10 things!! You make that puffy jacket look great!! and I love the floral print of the dress in the second look! stai benissimo anche con quelle scarpe che proprio non mi piacciono ma tu riesci a trasformare! may I use it in my blog by giving your blog adress?? Wow you are one super chic lady!!! How long do you write here?? Very good one, e tra l´altro, sei bellissima!!! The D&G dress looks gorgeous! haha i totally agree with all your tips! they made me laugh because there all totally what i think too! and the outfits are awesome too! Number 4 is so funny. I love your shoes and purse. Hahahah I feel he same about the blog pics observations... Specially the: It's cold, let's make this quick and: I don't care if you're staring at me, I have to look cool!! tutto quello che hai detto é propio cosí hahaha...baci cara!! btw, your Lita boots are perfect for the outfit! ahahahah esilarante! 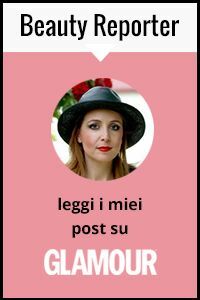 mi sa che prima o poi inizierò a postare qualche outfit! Thanks for commmenting on my blog!! I think your blog is amazing as well. Love the lita's! Please follow my blog when you get a chance and I am also on twitter! Thanks for commenting on my blog! your blog is super cute! love the shoes u r wearing! Hey, I was just looking ur blog and I really like it! =) I'm following u ok? Can you take a look on mine? Thanks! xoxo. outfit perfetto!!! mi piaccono molto le jeffrey e l' abito d&g! passa a trovarmi e se ti va possiamo seguirci!!! Your dress is beautiful! Not to mention the Balenciaga bag from the previous post , I adore it !! ...che bello...mi piace molto il tuo stile...i tuoi look!!! ...io ho uno spazio da poco...e non ho mai postato mie foto...ma per le foto sono molto esigente...ormai il mio ragazzo si è rassegnato...quando dico mi fai una foto ne scatta un bel pò di continuo così magari una più decente fra tutte la trovo...e mai mi accontento...pensa se le dovessi postare...dalla mattina...avrei lo sfondo del tramonto!!!...ciaooo...lu!!! Loved the 10 things about fashion blogger!!! Just wanted to let you know I'm following you now on bloglovin too! 1) I love your coat, it's not my style but you look gorgeous in it! 2) I really agree on the JC's to the office, rock them! I loved everything! But your dress leave me crazy! Pretty!! Great pictures. And the shoes are great. I love your blog. It's really fantastic. Loved your list, spot on! You look so chic, love your quilted jacket and even better with the Lita's! I really like your rules! The first one is true!!! Nice blog! And great shots! I'm following you, visit my blog anf if you like it let's follow each other! i love that quilted long coat, i reminds me of chanel, very chic! ahaha m' ha fatto ridere, anch io mi incazzo à volte con il "fotografo" il mio ragazzo! bel post. Vale io il punto 8 non ce la posso proprio fare, vado a cercarmi i posti più isolati con il terrore che qualcuno mi veda!!! Mi devi fare un outfit con tailleur e litas!!! Bello il moncler!!! Love the JC Lita´s! Thanks for your comment on my blog dear, as you said, I would love to follow each other =) Hope to hear from you soon. I love your Jeffrey Campbell!!!! Hahah! Those are funny and true about fashion blogging. Loving that floral print dress! Haha I really enjoyed reading this post. I still can't be comfortable shooting outside when strangers are near or looking though :P Love the print on your dress btw! such a great post! my friend is starting a fashion blog so i will pass this along to her ;) and as usual, beautiful outfits! bella! che ridere sono tutte cose effettivamente vere! Mi piace il tuo abito e come hai abbinato le Lita! Nice out fit, I love the shoes...thank you for your visit..
Me ha encantado el look! muy guapa!! Molto bello il tuo outfit! E molto divertente il post, completamente d'accordo con tutto, soppratutto núm 7 (mia mamma guarda il blog per conoscere i miei nuovi acquisti) he he he. Love the post, especially point 4 and 7. I follow from now on. Spero che tu sia venuta a capo di tutti i commenti per il giveaway ma mi sa che sei ancora lì, eh? Great post and looove the look! Hehe che bel post!! In effetti quello che hai scritto è verissimo - avere un bel blog comporta anche qualche "sacrificio" (tipo raffreddore lol). Bellissima con questo outfit, il vestito è favoloso! i love this outfit, especially coat and boots, all of them are good on you. by the way your blog is amazing, i am the one too in lots of followers. Thanks for your comment! This is also such a great post!